LNP™ LUBRICOMP™ compounds provide improved wear resistance and lower friction by combining engineering resins with internal lubricants. 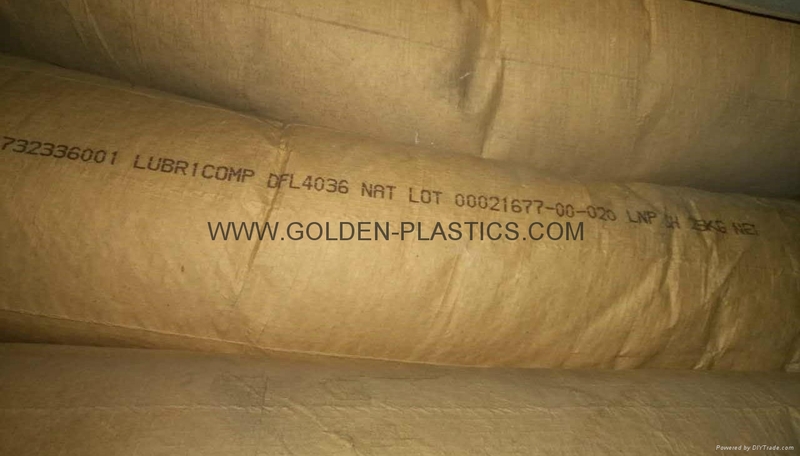 LUBRICOMP compounds, which can also be stiffened with glass or other fiber, can help extend product life and reduce or eliminate squeaks and other noise from moving parts. 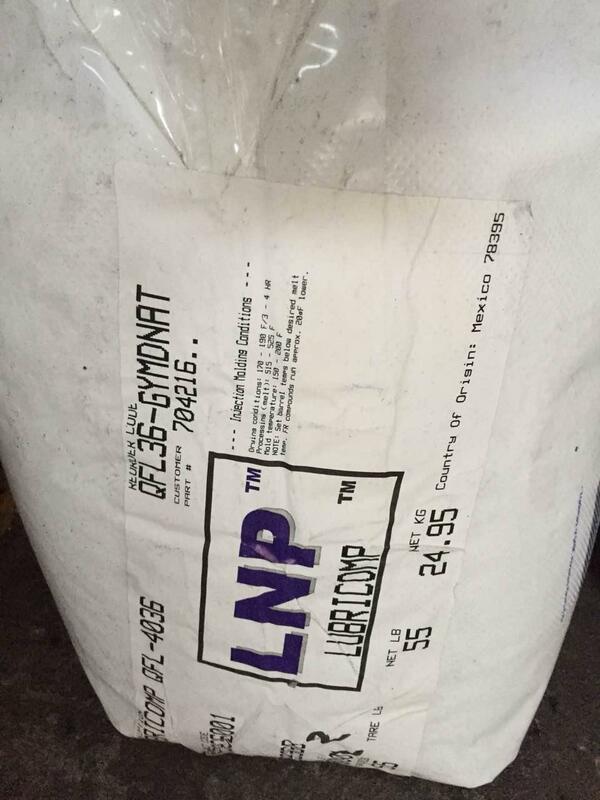 LNP specialty compound offerings are available in a broad portfolio of standard and engineering materials. 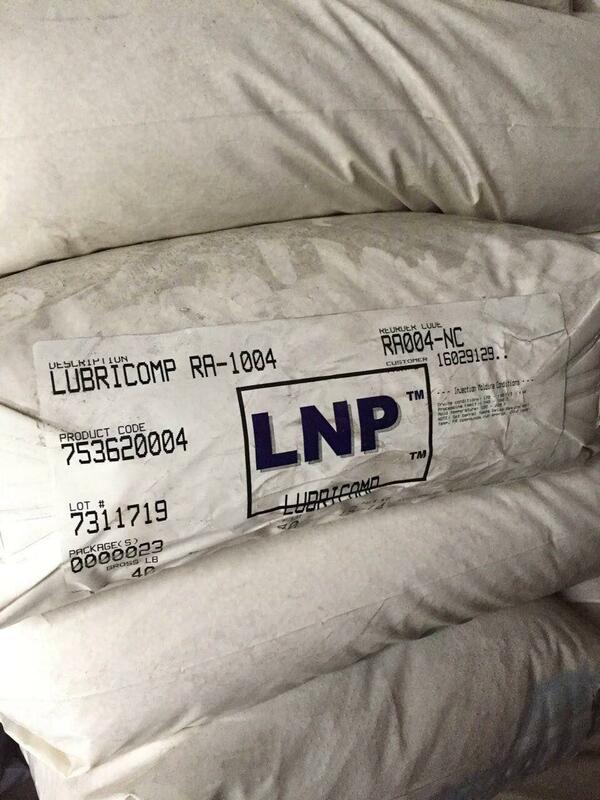 LNP LUBRICOMP* RAL22 is a compound based on Nylon 66 resin containing 10% PTFE, 10% Aramid. Added features of this material include: Wear Resistant. 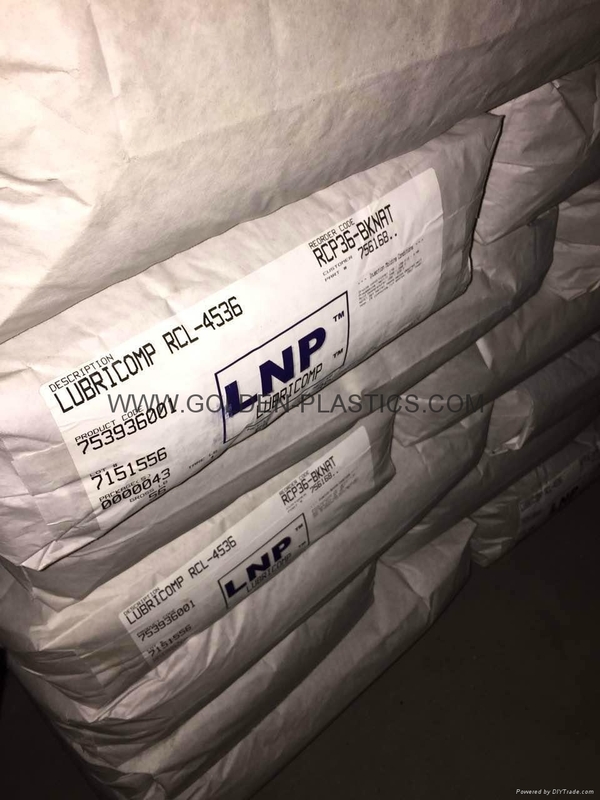 LNP* LUBRICOMP* RFL4536 is a compound based on Nylon 66 containing 30% Glass Fiber, 15% PTFE/Silicone. Added feature of this grade is: Wear Resistant. 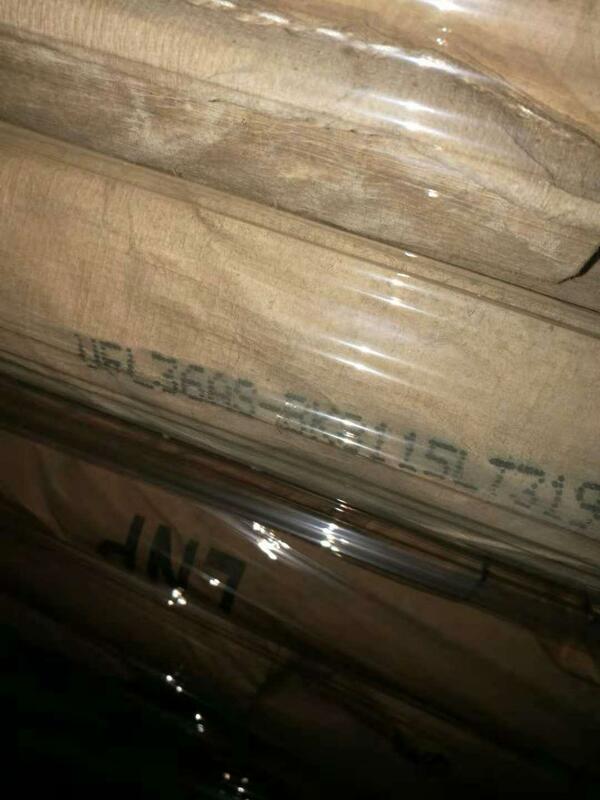 LNP* LUBRICOMP* UFL36AS is a Polyphthalamide (PPA) base resin containing 30% Glass Fiber, 15% PTFE. Added features of this material are: Heat Stabilized, Wear Resistant. 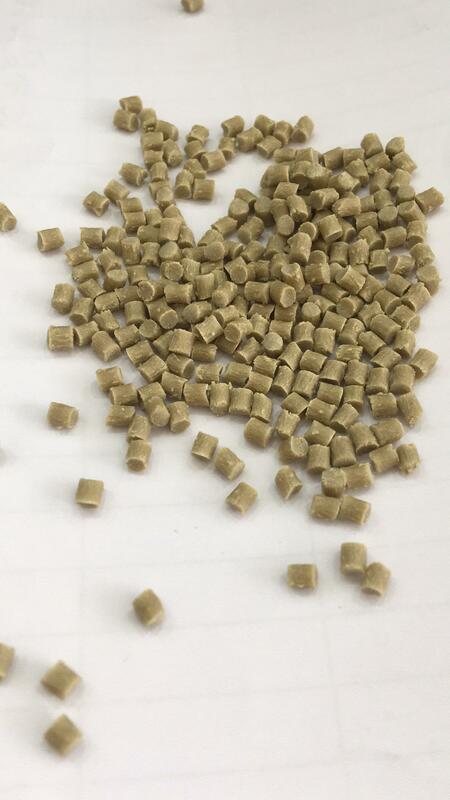 Internally lubricated polyphthalamide compound,containing glass fiber and PTFE,added features include hear stabilized,flame retardant and hot water moldable. 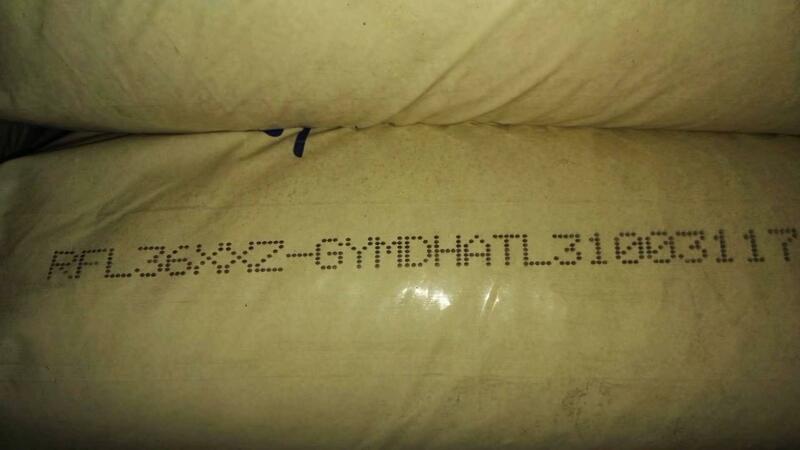 PBT resin containing 15% PTFE, 20% Aramid Fiber. 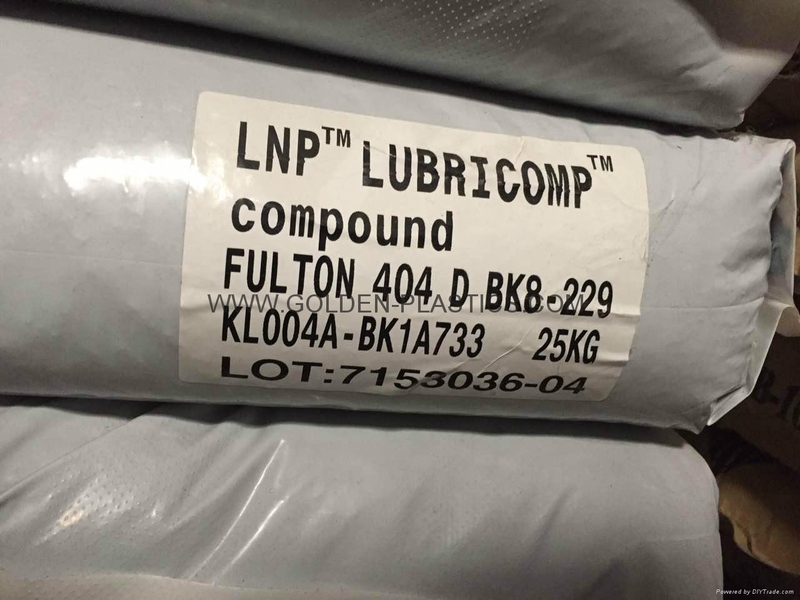 LNP* Lubricomp* WFL369 is a compound based on Polybutylene Terephalate resin containing Glass Fiber, PTFE, Flame Retardant. Added features of this material include: Internally Lubricated, Flame Retardant. 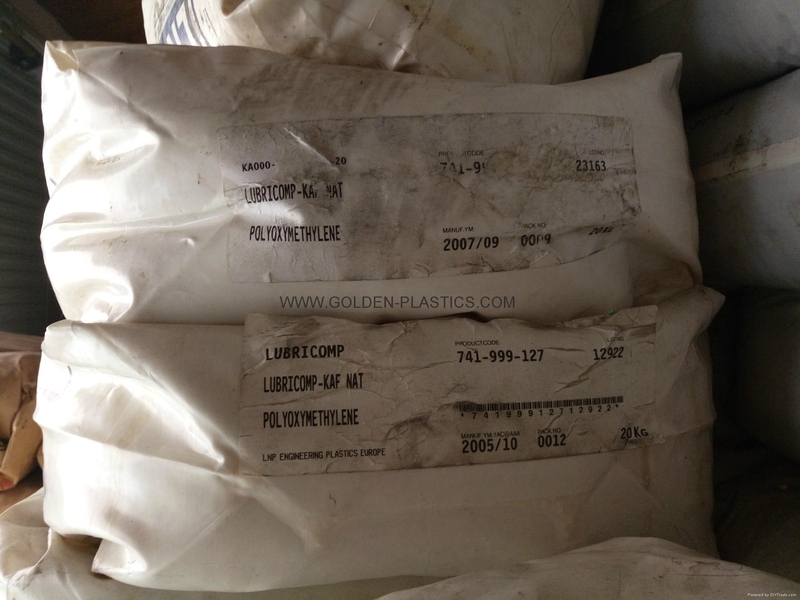 LNP* LUBRICOMP* WP004 is a compound based on PBT resin containing 20% PTFE/Silicone. Added feature of this grade is: Wear Resistant. 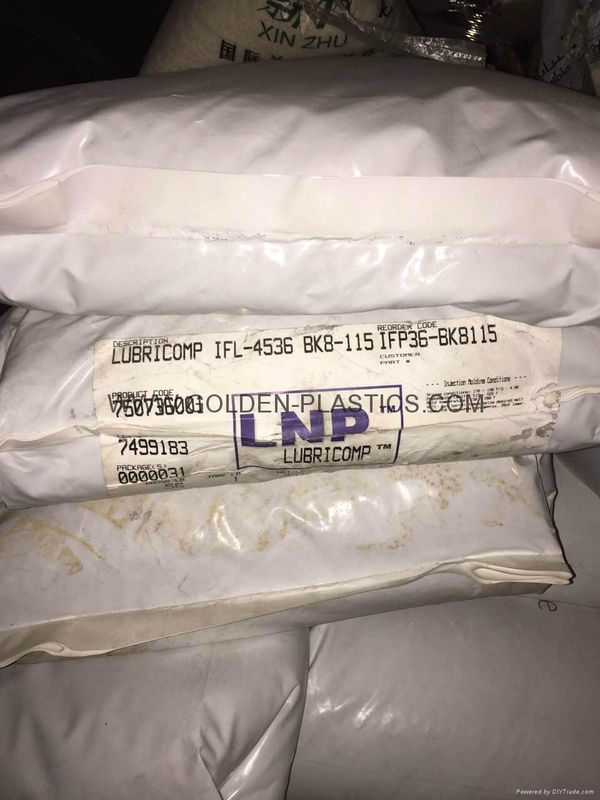 LNP LUBRICOMP DFL22 is a compound based on Polycarbonate resin containing 10% Glass Fiber and 10% PTFE. Added features include: Internally Lubricated. 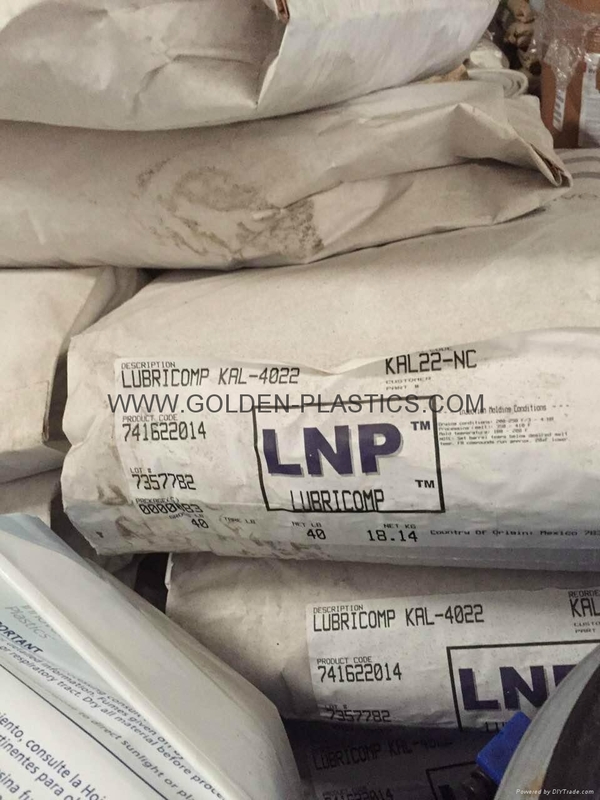 LNP LUBRICOMP KA000 is a compound based on Acetal Copolymer resin containing Aramid Fiber, Proprietary Lubricant. compound based on Polycarbonate resin containing 30% Glass Fiber, 15% PTFE. Added feature of this material is: Wear Resistant. 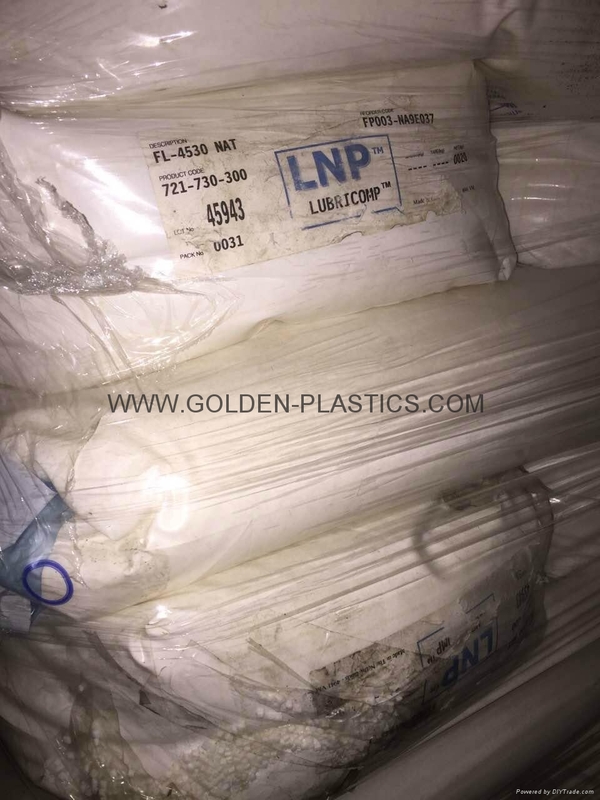 LNP* LUBRICOMP* DFL4034 is a compound based on Polycarbonate resin containing 20% Glass Fiber, 15% PTFE. 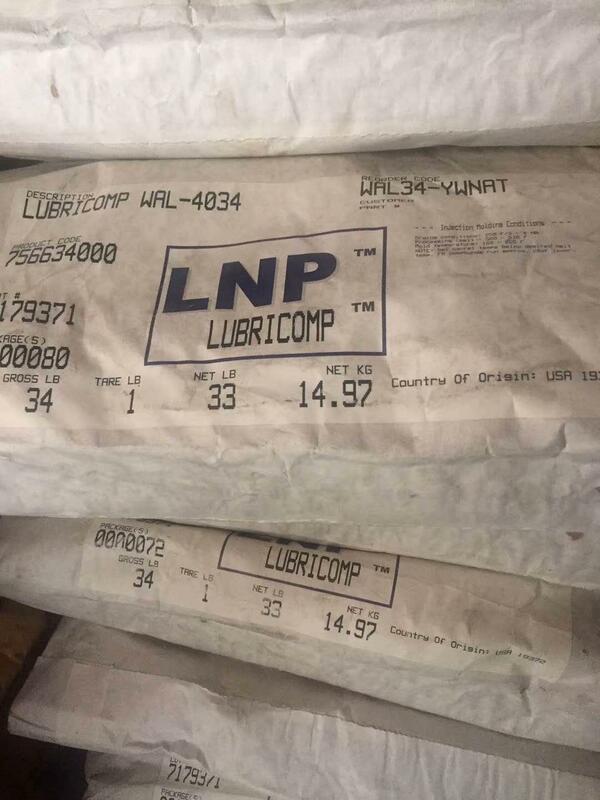 LNP LUBRICOMP OCL36 is a compound based on PPS - Linear resin containing 30% Carbon Fiber, 15% PTFE. Added features of this material include: Electrically Conductive, Wear Resistant. compound based on Nylon 66 resin containing Carbon Fiber, PTFE, Silicone. Added features of this material include: Electrically Conductive. 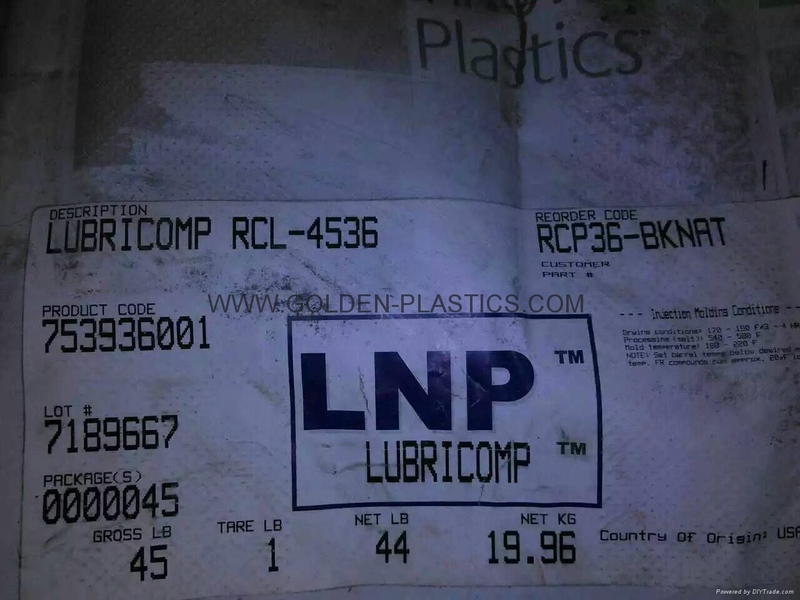 LNP LUBRICOMP RCL4042 is a compound based on Nylon 66 resin containing 10% Carbon Fiber, 20% PTFE. Added features of this material include: Electrically Conductive, Wear Resistant, Heat Stabilized. 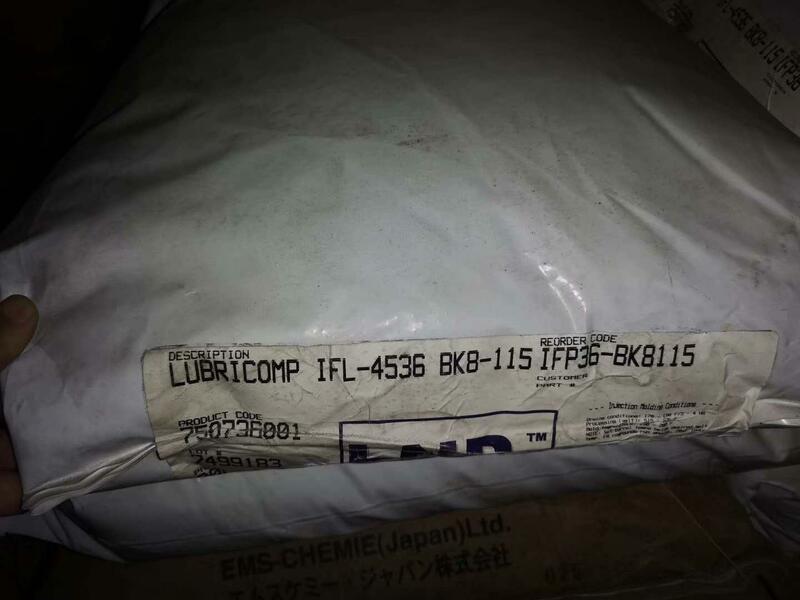 LNP* LUBRICOMP* 9X06030 is a compound based on PA46 resin containing PTFE and Carbon Fiber. Added features include: Internally Lubricated, Heat Stabilized. 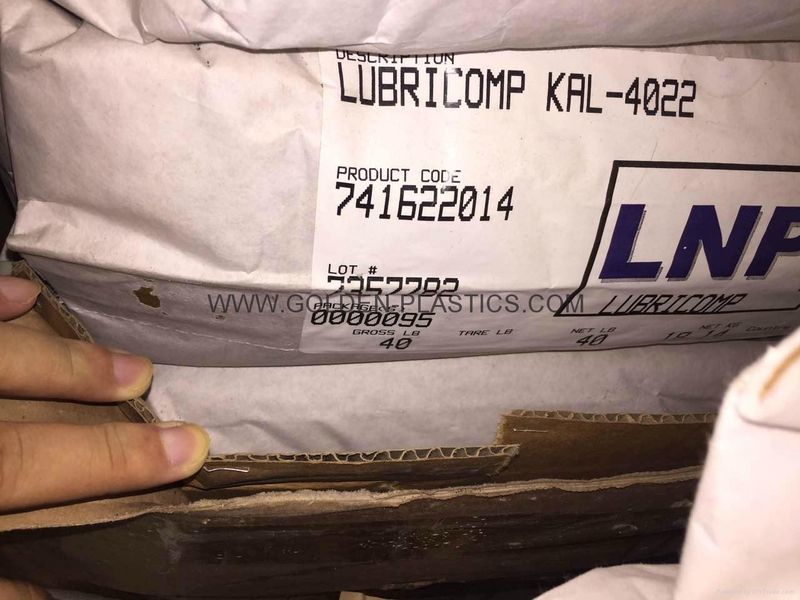 LNP LUBRICOMP UCL4016 is a compound based on Polyphthalamide resin containing 5% PTFE, 30% Carbon Fiber. Added features of this material include: Wear Resistant, Heat Stabilized, Electrically Conductive. 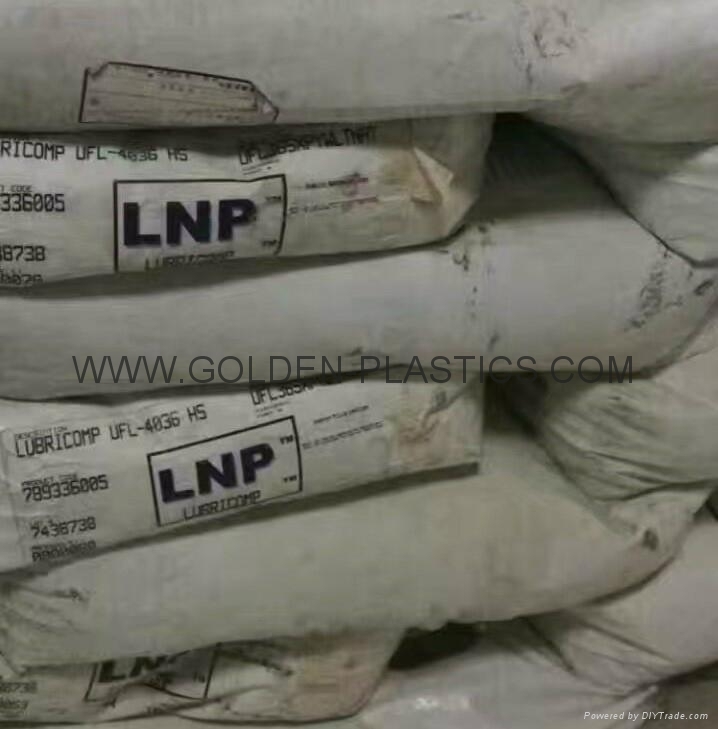 LNP LUBRICOMP YL003 is a compoudn based on Polyester Elastomer resin containing 15% PTFE. Added feature of this grade is: Wear Resistant. 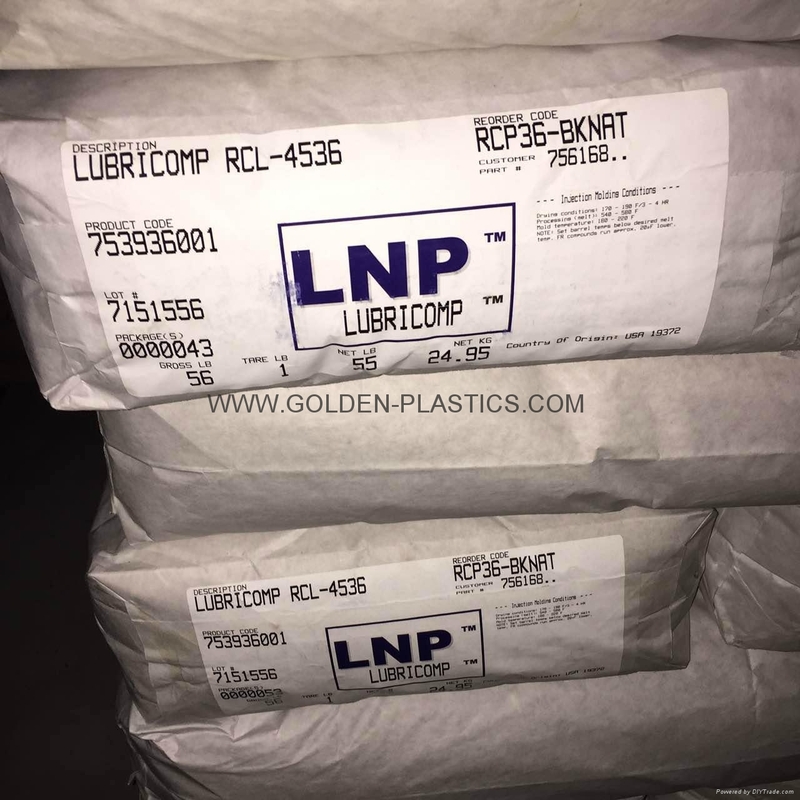 LNP LUBRICOMP RA004 is a compound based on Nylon 66 resin containing 20% Aramid. Added features of this material include: Wear Resistant. Lubricated Polyethylene(PE)resin, containing PTFE and Silicone Lubricant. Added features include: Internally Lubricated. PA612 base resin containing 30% Glass Fiber, 15% PTFE/Silicone. Added features of t his grade include: Wear Resistant. Acetal Homopolymer(POM) resin containing 20% PTFE. Added feature of this material is: Wear Resistant. 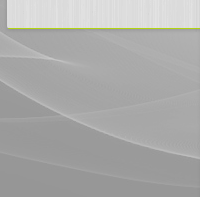 compound based on Polycarbonate resin containing 10% PTFE. Added features of this material include: Wear Resistant. compound based on Acetal Copolymer resin containing 20% PTFE. Added feature of this material is: Wear Resistant. 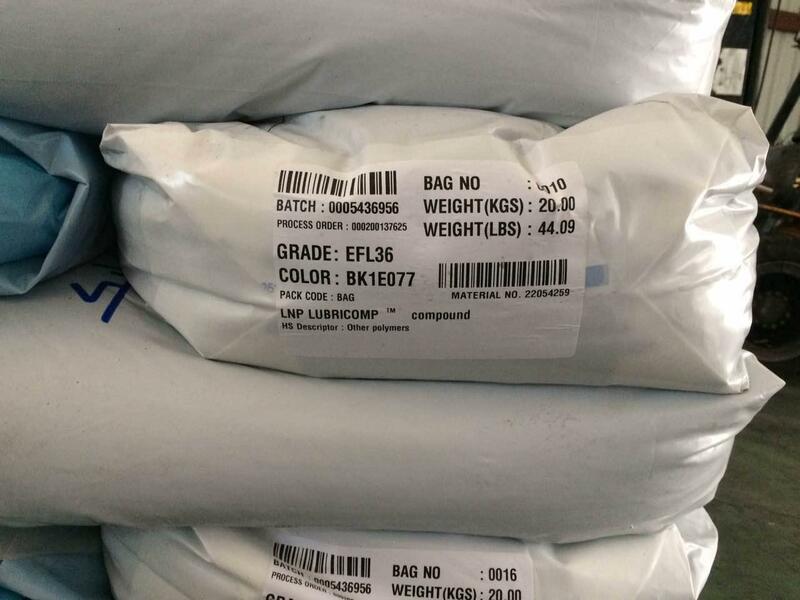 LUBRICOMP EFL36 is a compound based on Polyetherimide resin containing 30% Glass Fiber, 15% PTFE. Added feature of this material is: Wear Resistant.